Oh Stillwater, how we love you. What’s not to like? Steps away from the picturesque St. Croix River, Stillwater is the ideal escape—especially from the Twin Cities. It’s just a 15- to 60-minute hop down the highway. Its historic charm is intact, while modern restaurants, venues and boutique hotels keep it current. It’s quaint, but far from sleepy. It’s lively, but laid-back. The friendly folks, locals who love their hometown, welcome you to their scenic city with nods and smiles. Whether new, new-to-you or an old favorite, here’s what we’re loving about Stillwater these days. 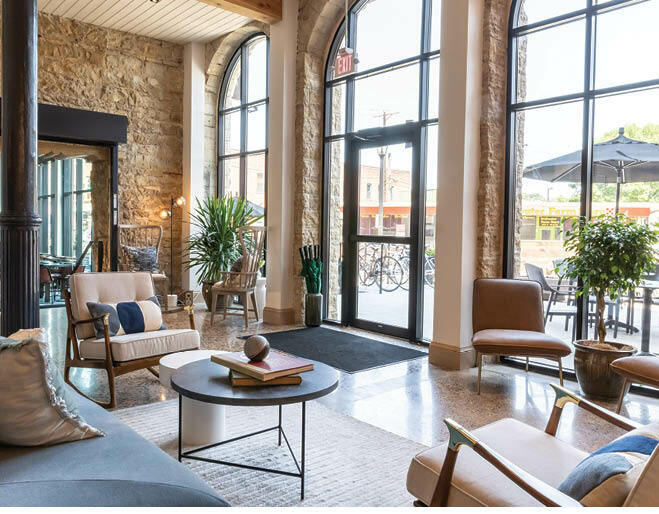 That Boutique Life On the corner of Main and Nelson, tucked just beneath the historic steps in downtown Stillwater, sits the city’s most hopping corner, with Lora, a sleek boutique hotel—the first new hotel in Stillwater in 20 years—which opened in 2018 to rave reviews. The rooms? Charming. The service? Spot-on. The view? Don’t even get us started. You could also choose to stay in the ultra-cool cave-like room built into the bluff; it has no windows and would be perfect for snoozing in post-bachelorette party or wedding night. Lora is surrounded by a trio of other must-stops: MADE Coffee, Feller and the Long Goodbye. The whole block is a couple’s getaway dream. You’ll want to reserve a room at Lora for all sorts of activities, from a crash pad for your bachelorette party to a lovely, light-soaked getting-ready space on your wedding day to a honeymoon and anniversary locale. Hint: Book a stay there year after year for your anniversary and revisit key sites from your wedding day. Next door to Lora, MADE Coffee will get you buzzing in the morning, with coffee, pastries and fresh-pressed juices in a sleek, minimalist space. Take advantage of the fire pit outside to sip slowly and plan your next move. Our recommendation? Head next door to make a reservation at hunter-and-gatherer themed Feller restaurant, whether for a his-and-hers dinner for two, an evening out with a group of gals or for your groom’s dinner. Feller’s private dining room—tucked in the entrance to the caves!—is an intimate space accommodating up to 40 people and guaranteed to delight your guests. Just be sure to leave time to start and/or end your night tossing back one (or two) at the Long Goodbye, the attached cocktail bar which perfectly blends masculine and delicate touches. Somehow the delightful décor makes the cocktails taste better. 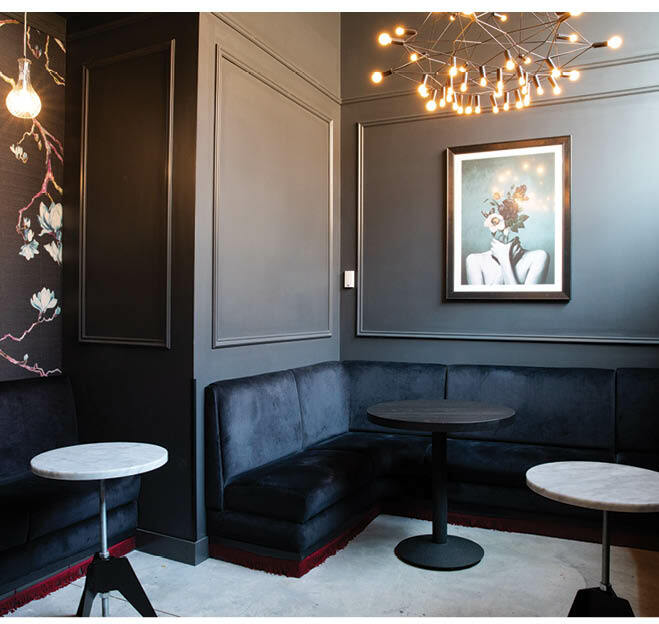 Another option for a chic stay is just four blocks north at Hotel Crosby, a charming boutique hotel that recently opened its doors. The vibe? A laid-back luxury lodge; think exposed brick, tufted leather headboards and balconies with a view. Hotel Crosby’s MatchStick Restaurant & Spirits, a farm-to-table spot that boasts locally sourced ingredients and an extensive beer and wine list, is an ideal place to host your bachelorette party or groom’s dinner. Their small plates are meant to share, so order one of everything. What better way to show off what Stillwater’s got cooking? From there, visit the Velveteen, Stillwater’s only speakeasy, located beneath the JX Center. That is, if you can find it. Look for a “V” etched in the concrete as well as instructions to “follow the rabbit,” as there’s no traditional signage. (What fun would a speakeasy be if it were easy to find?) A series of rabbit images will lead you to the lavish, Gatsby-like space, where you can indulge in a craft cocktail on the lush velvet furniture. While not new, you also can’t miss the Lowell Inn, a historic spot in downtown Stillwater. Established in 1927, it can host just about anything (bridal shower, groom’s dinner, wedding reception and honeymoon, for starters), no matter the size or style of your event. With five spaces, from the sunny stained-glass windows of the Garden Room built in 1937 to the newer Banquet Center with a patio, the Lowell Inn can host events ranging from 20 to 220 guests. Meanwhile, the Outing Lodge, just 10 minutes north of downtown Stillwater, is a dream location for a garden party. The venue is located on 350 wooded acres and feels as if you’ve traveled to the European countryside. The gardens beg for an outdoor ceremony, while the patio is ideal for a summertime cocktail hour. Then move indoors for a reception feast, with seating for up to 300 guests. No need to travel far post-reception, as you could simply head upstairs to rest easy for the night in one of the historic rooms. 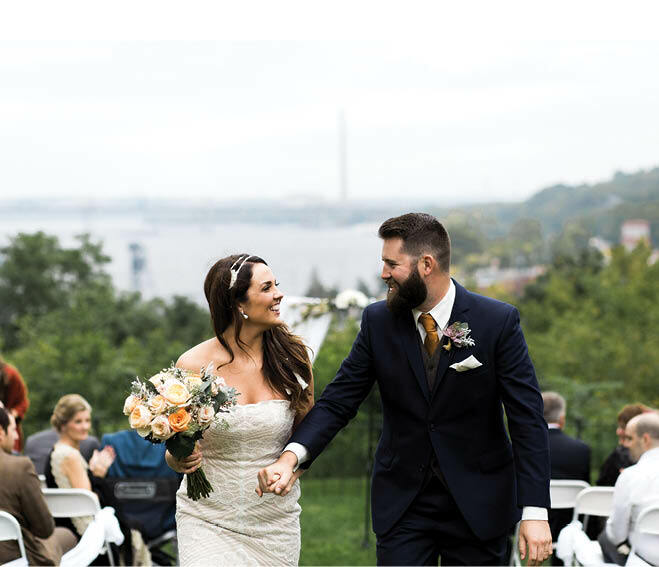 If you’ve decided on an outdoor affair, look to Camrose Hill, winner of Minnesota Bride’s Best Outdoor Venue several times over. 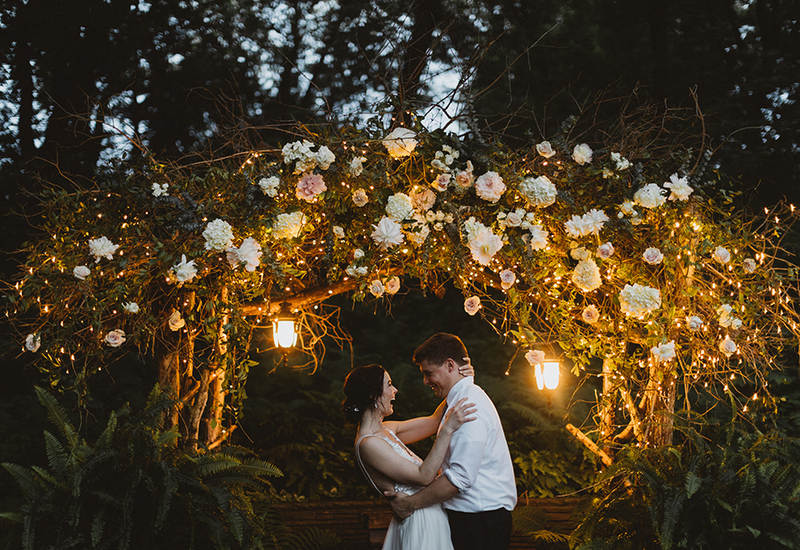 Owned by floral designer Cindie Sinclair, the 1880s farm includes a 1950s cottage, a vine-covered gazebo for your ceremony, and a tent and pavilion to dance the night away. Sinclair’s natural garden-style arrangements only enhance its rustic charm. For more than a century’s worth of history with ultra-modern amenities, consider JX Venue in downtown Stillwater. Originally a shoe factory built in 1905, the exposed brick, large windows and extravagant chandeliers make for a stunning reception space, especially if you’re hosting a large event, as the location can host up to 500 guests for a seated dinner. Stillwater doesn’t stop there. Keep up to date on all the something olds and something news by visiting DiscoverStillwater.com. We’ve always loved your charm, Stillwater. Now we love your hot new happenings, too. Hotel Crosby: A laid-back luxury lodge feel; recently opened. Lora: Sleek, stylish and built into the bluffs; opened in 2018, the first new hotel in Stillwater in 20 years. Feller: A hunter-and-gatherer-inspired menu with locally sourced ingredients; private dining available in their caves. The Long Goodbye: Craft cocktails in an equally crafted space; attached to Feller. The Velveteen: Stillwater’s only speakeasy, beneath the JX Venue; lush Gatsby-esque decor and updated twists on classic cocktails. Camrose Hill: A rustic garden party ambiance, with reception seating in a tent and pavilion for up to 200. JX Venue: A modern venue in a historic building, featuring large windows and exposed brick; can host up to 500 seated or 720 standing. Lift Bridge Brewery: For the beer lovers among us; accommodates up to 150 seated guests. 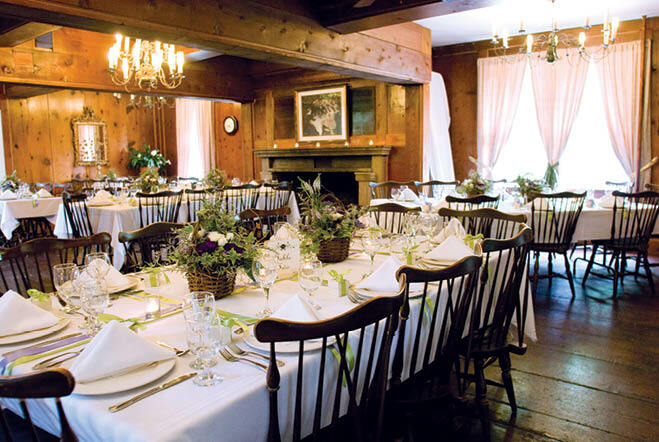 Lowell Inn: Historic, ornate and fit for a queen or bride; for weddings of 20 to 220 guests. The Outing Lodge: A wooded estate just 10 minutes from downtown Stillwater that feels as if you’re in the European countryside; up to 300 guests. Water Street Inn: A 41-room waterfront bed and breakfast; ballroom hosts up to 300 guests. Whether you love the game or not, golf course wedding venues have a lot to offer. There are many reasons to choose Perham as your Lakes Wedding Destination, but we’ve narrowed it down to our top five. For picturesque settings and amenities that will enchant your guests, head to Minnesota’s North Shore. Want to start your future in a building with a past? Check out the Embassy Suites by Hilton.